The concept of aging women is fraught with stereotypical misconceptions and misnomers. Typically, women today are often viewed as physically weaker and more frail, particularly once they reach ‘a certain age’. The Gatineau Trails group of CFUW-Ottawa is a case in point in how that is not so. About 75 women take part, many of them super fit and super active. 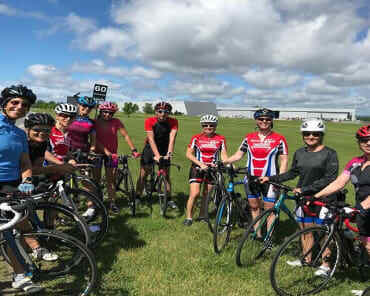 We are fortunate to have access to so many recreational amenities and appreciate the trails, nature, lakes and rivers around us in the Ottawa and Gatineau areas. Weather permitting, during the spring and fall, we typically engage in demanding hikes in Gatineau Park. These adventures alternate with urban walks led by a volunteer who has taken the time to research the area and lead us on an interesting route. In winter the group mostly skis the beautiful and often challenging trails in Gatineau Park. On a typical weekly outing, skiers will meet in one of the park’s cabins for lunch, enjoying the opportunity to network and enjoy the warmth over a wonderfully heated wood stove. In summer, many of us get together informally to cycle the various bicycle paths in and around the city. 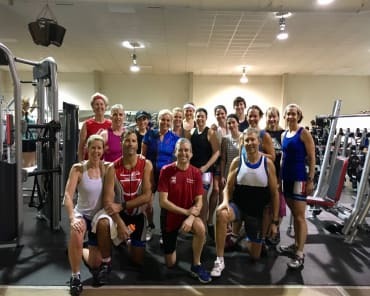 This summer three members of our group, aged between 51 to 71, were inspired to compete in a Try-a-Triathlon, held in Perth at the recreational community centre on June 2nd. The triathlon required participants to swim 500 meters, cycle 16 km and run 4 km. The criterion for evaluation was based on completion of the three sporting activities, by age and time. 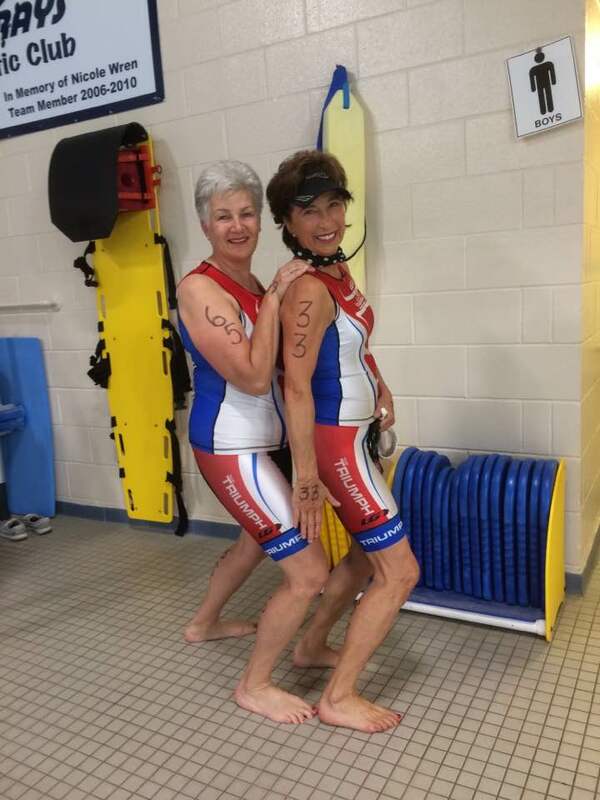 All three of our members successfully completed the events: one woman completed the course, finishing with her personal best; one overcame and conquered her fear of swimming in deep water; one of us won in the 70 and over age category. 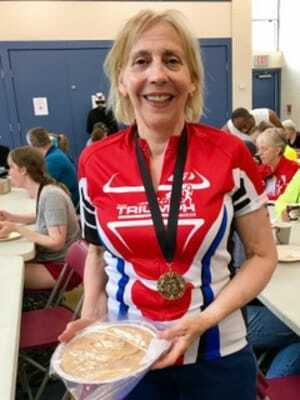 It was a triumphant day for all three, as there was a bit of worry before the race whether they would have what it takes to complete each of the required sports in rapid succession. But, as the old adage states, ‘age is not necessarily a marker of fitness’! Johanna with her swim coach, Julia Aimers, and with her prize for coming first in her age category (70 and over).